It’s not hard to notice the symbol of the dove especially at Christmas time. Doves are symbolic of peace, purity, love and the Holy Spirit, all important concepts celebrated during the Christmas season. 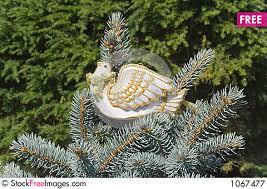 Because of this, doves became popular as Christmas tree decor.